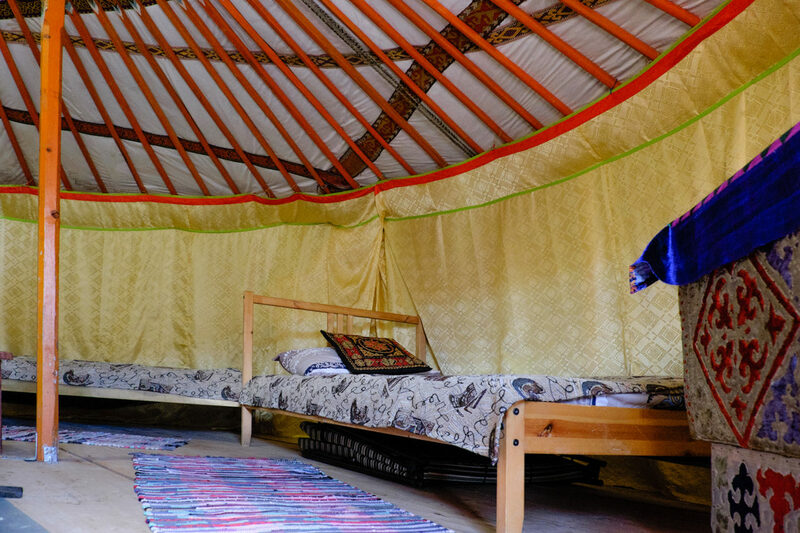 Durbets are people from ethnic group of Oirats who live in the western part of Mongolia. 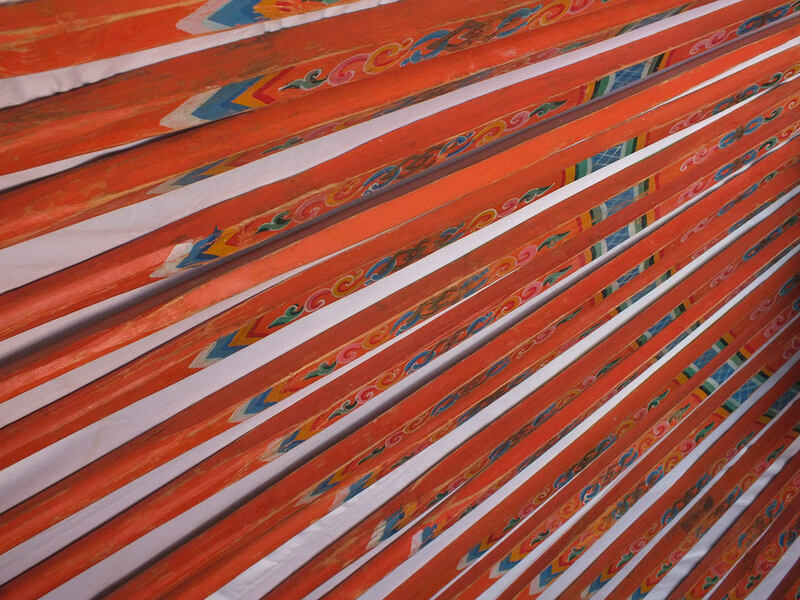 “Daba” is a “mountain pass” in Mongolian. 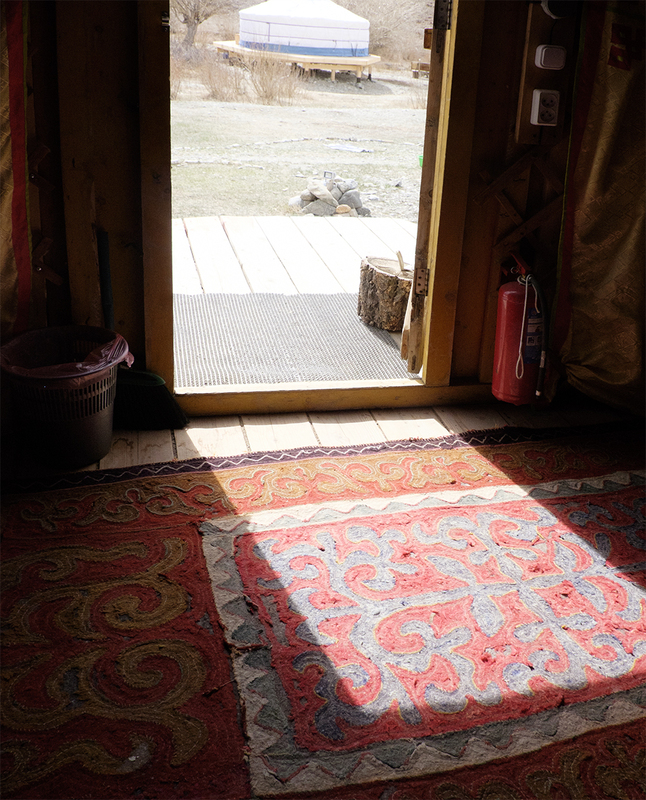 “Durbet Daba” means “a pass to the country of Durbets” – the pass that connects Russia and Mongolia. 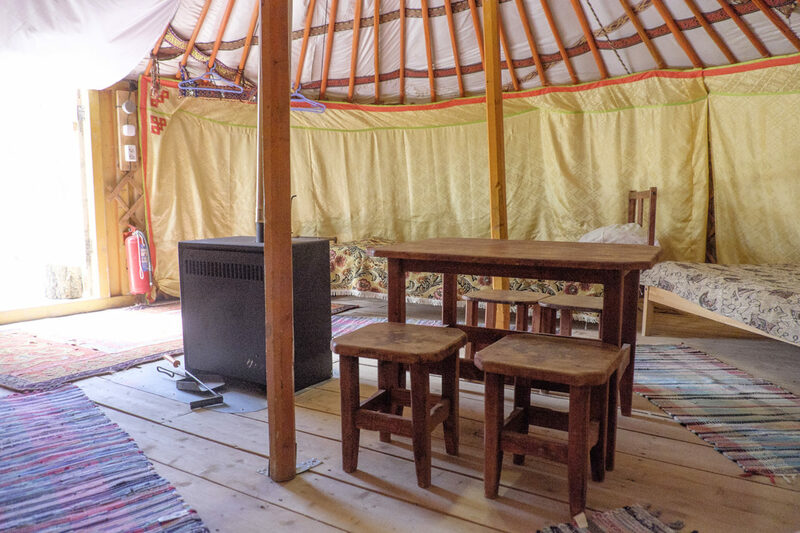 Mongolia is a country of blue sky, strong winds and significant changes in temperature. 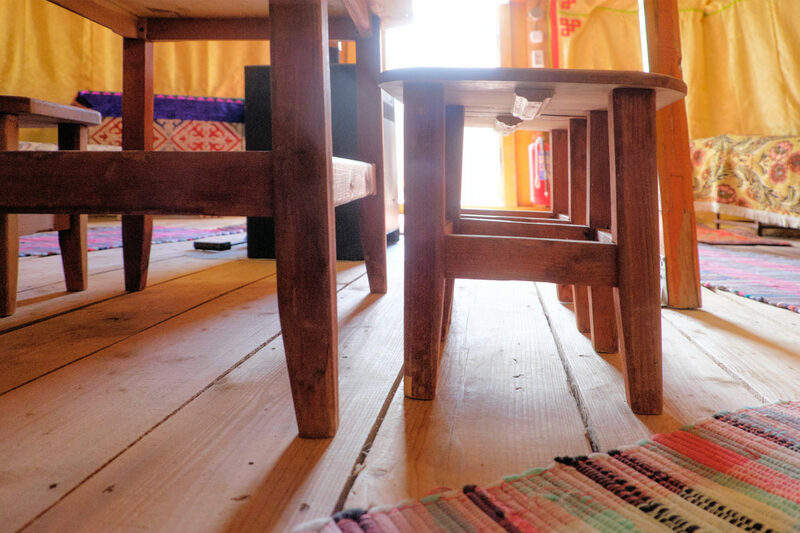 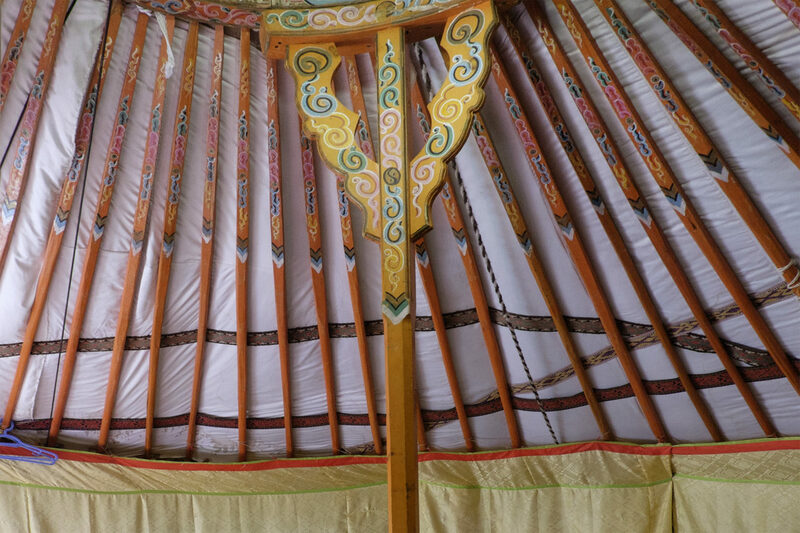 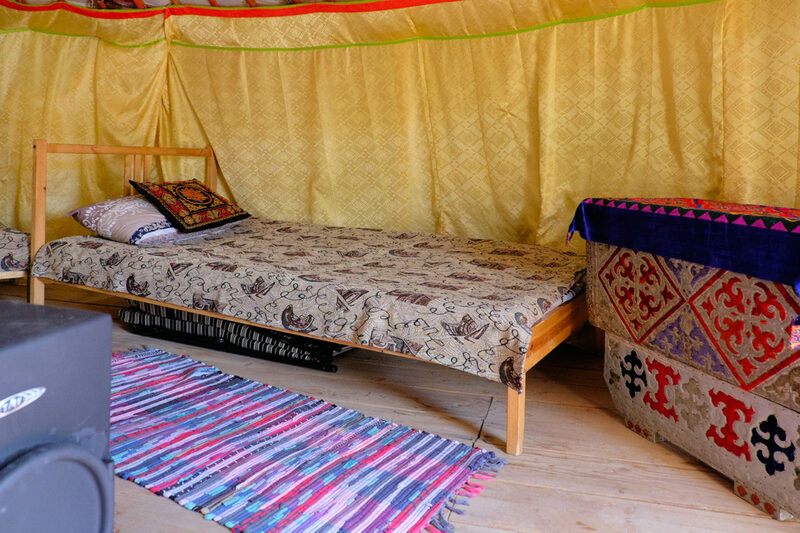 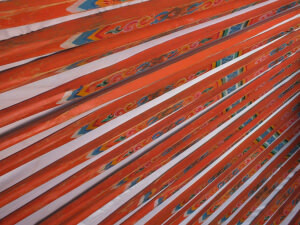 Mongolian yurts are built very steady in order to protect people from contrasts of local climate. 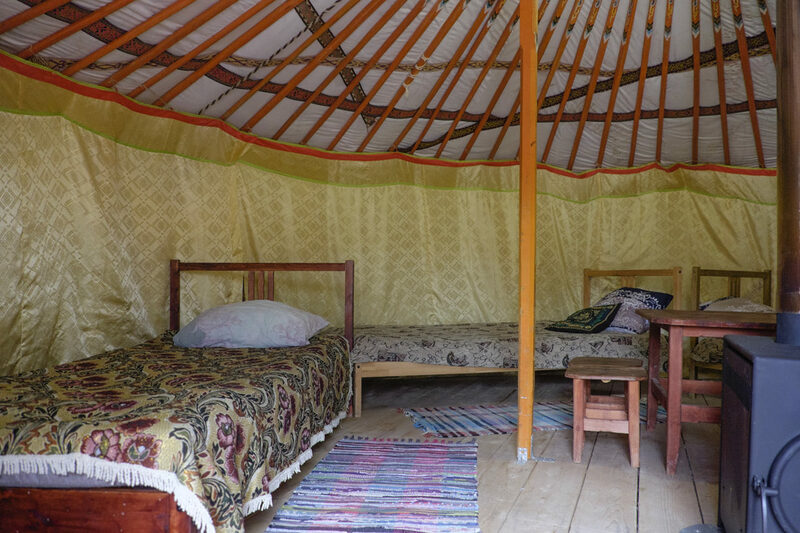 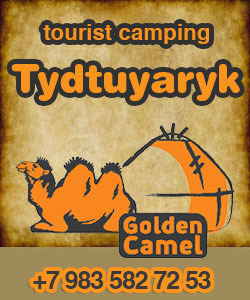 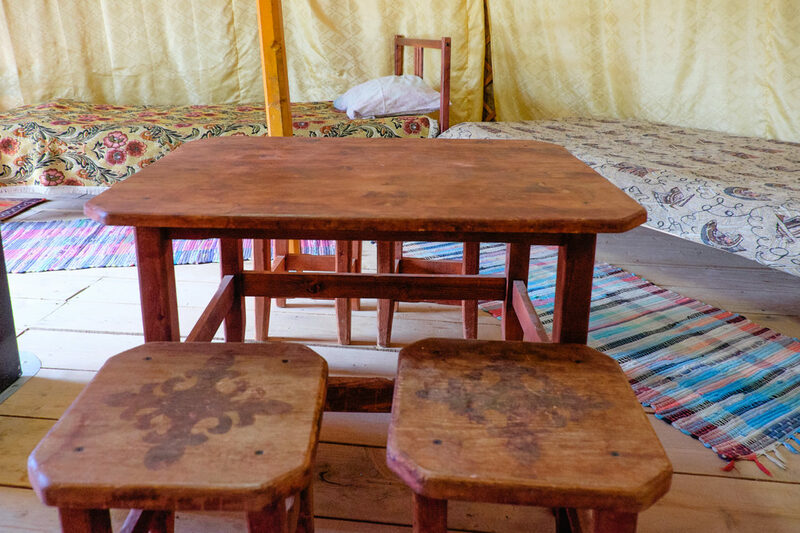 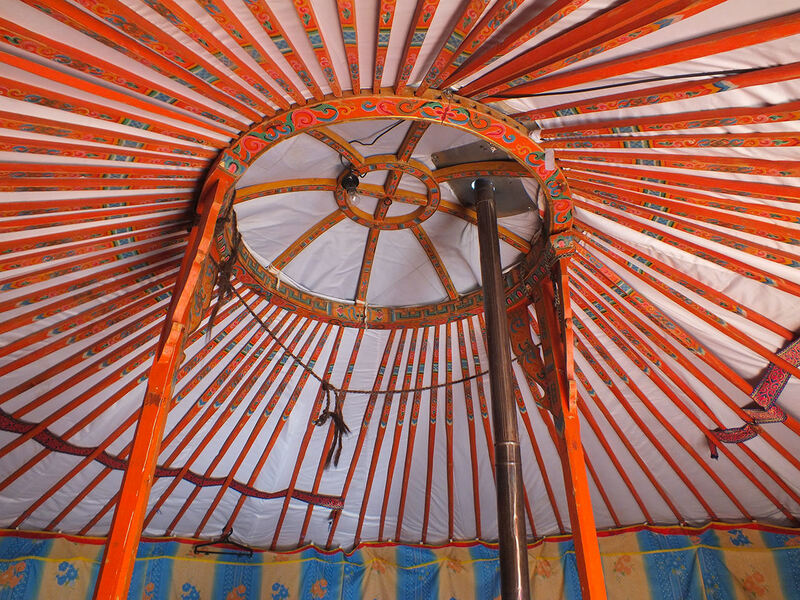 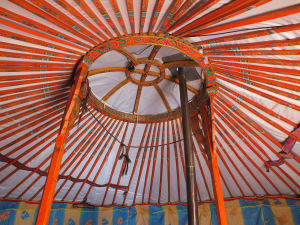 Being more stocky and streamlined, yurts of this kind have the same structural elements as Turk yurts. 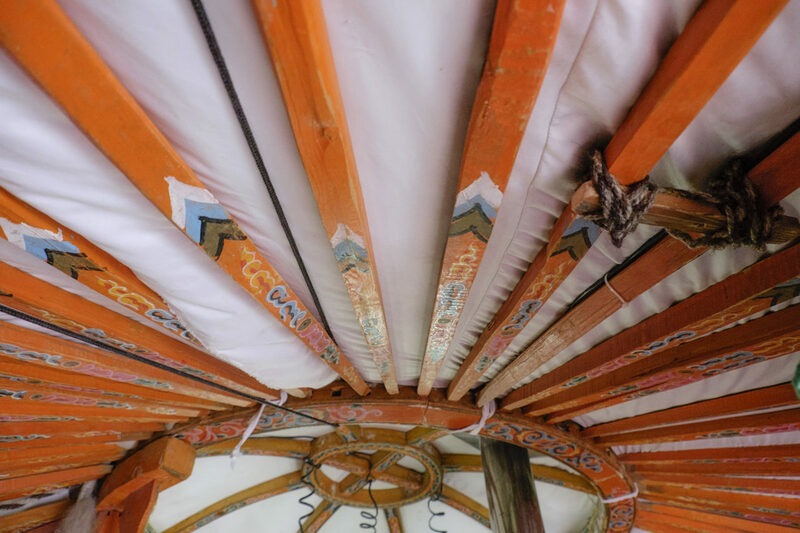 The Interior of this warm and cozy yurt is vivid and colorful: different shades of orange and red brighten the morning and remind of old oriental tales when you’re falling asleep.